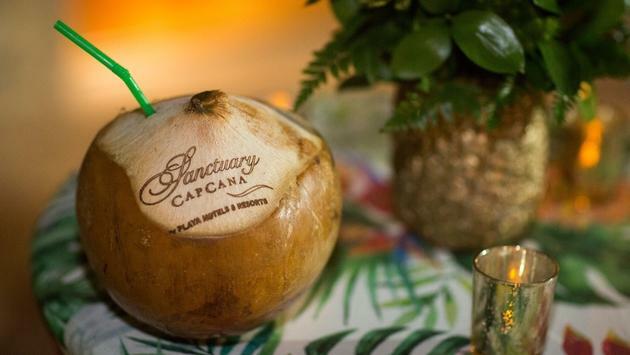 One hundred of Playa’s top-selling travel agents across North America descended on the Sanctuary Cap Cana the first week in January to celebrate the third annual Spotlight Awards. The white powdery beaches and bright blue water that surrounds the Dominican Republic was the setting where our loyal partners were able to reconnect while enjoying the celebrity-coveted Sanctuary. The resort recently went through a multi-million-dollar renovation and includes a secluded castle, a villa collection and a newly added Enclave. This created an atmosphere for attendees to live like kings and queens for the weekend while participating in tropical-themed receptions, 80s throwbacks and a bond-style gala fit for royalty. The three-day soiree invited agents to be the first on many fronts which included a day at the newly branded Hilton La Romana and a hard-hat tour of the up and coming Hyatt Zilara and Hyatt Ziva Cap Cana, just a short walk down Juanillo beach from Sanctuary. Little did they know, they would also be the first to receive exciting updates from our Executive Vice President and Chief Marketing Officer, Kevin Froemming. The announcements included the launch of Agent Cash Plus, the new platform that merges the original Agent Cash with the previous Aim For The Stars program. This program was acquired as a result of the Sagicor merger last June. They also heard the announcement that travel agents will now have the ability to extend Hilton Honors and World of Hyatt points on bookings made directly through the platform. As Kevin said, there is no other all-inclusive company in business today that can provide an opportunity such as this to travel agents and further shows that we’re working on creative ways to not only support travel agents but ensure our partner’s continued success. The grand gala closed out the weekend celebrating successes and honored the top performers in a variety of different categories. A personal thank you goes out to all in attendance. No matter if you were a nominee, winner or guest, thank you for your continued support. You are an integral component to Playa’s success. If you’re an agent who wasn’t in attendance, I would ask why not? Report your bookings via Agents.PlayaResorts.com! The faster you report your bookings, the sooner you generate some extra cash in your pocket and secure your spot to celebrate! Have questions about the details for how to secure your spot? Don’t hesitate to contact me or your local business development manager. Remember, our job is to ensure your success!